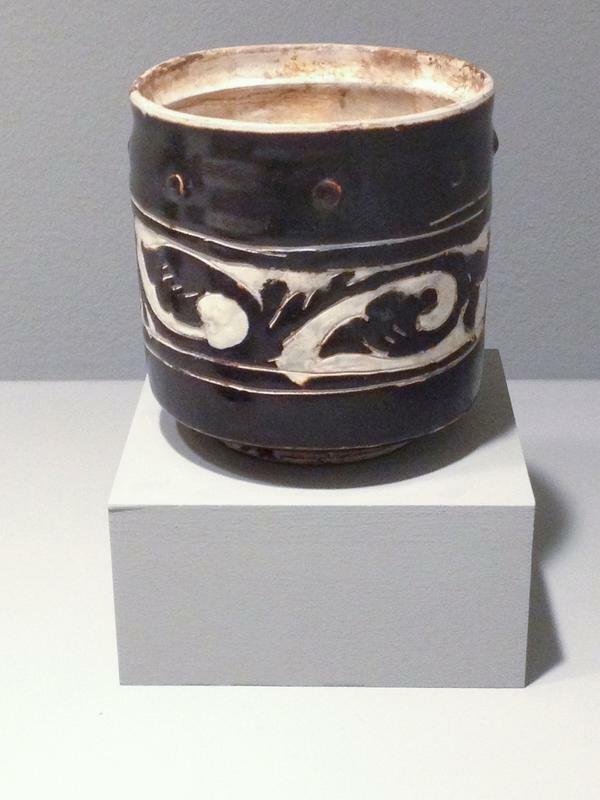 The decoration of this cylindrical jar, with its black and white design, makes use of the sgraffito technique. One of over twenty decorative methods used at Ci Zhou kilns, objects in this group are covered with a layer of black slip on top of the white. Designs inscribed on the black slip are selectively scraped away to reveal the underlying white slip. The overall effect is one of a black design on a white ground. Both slip coats are covered with a clear glaze. This group includes some of the most striking examples of Ci Zhou ware.